When it’s time to put the finishing touches on your home, look beyond the traditional choices that are found in homes around the area. While most builders will use wood window sills in their construction projects, you can upgrade your home with a more elegant, sophisticated choice. White marble is an unexpected choice, but it’s one that you’ll never grow tired of. Before you shape oak or maple into window sills, learn more about the beauty and style of marble. If you’ve made the investment in beautiful windows, then you may want to choose a sill that will bring more attention to them. Whether they’re larger than normal, span an entire wall, or just have a deeper sill, you can bring attention to those features with elegant white marble. What might fade into the background with a wood sill will stand out and demand attention when it’s set with a natural stone that’s elegant and stylish. Marble is a particularly effective choice if you’re working with a curved window sill, rounded window top or another unique architectural feature. While the average window sills are only a few inches deep, some builders are moving the window closer to the exterior side of the wall and creating a larger sill on the interior. These spaces are ideal for displaying decorative little items, but you want a base that’s worthy of your lovely collections. Silver candlestick holders look elegant on a marble platform, or you can put out a few little flowers or crystal items. Anything you display on the marble will stand out more, and it’s sure to add an impressive touch to the space. If you’re planning on using the window sills as display areas throughout the year or even just for the holidays, then white marble is sure to be the right choice. Elegant rooms typically have a soft glow about them, and you can move your space in the right direction by adding marble to the window sills. Polished marble window sills will naturally reflect the natural light that streams in through the window. With the light moving through the room, your entire space will feel larger, more welcoming, and elegant. The marble sills are an understated touch that won’t overwhelm the space, but they will add a sophisticated finish to an area that’s often forgotten. Your room will feel more welcoming, and the sophisticated feeling will extend to the doorway and beyond. If you have other marble pieces in the space, then marble window sills will help draw attention to those special features. It doesn’t matter if you have a marble topped table or have invested in a beautiful marble vase or decorative item. Adding the white material to your windows will help draw attention to those accent points. They’ll stand out more, and the room will have a more balanced feel. You’ll take the sophisticated finish of your decorative accent and add it to the structure of the home for an attractive, elegant finish. 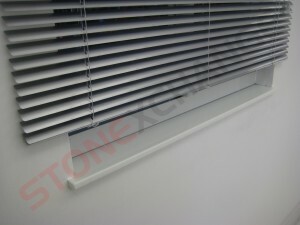 One of the greatest benefits of marble window sills is that they never fall out of fashion. They’ve been used in construction for centuries, and the beautiful white finish of marble will remain a popular choice for generations to come. While modern builders may have drifted away from this type of premium finishing work, you can reintroduce it to your home. You don’t have to settle for a plain wooden window sill that will require additional maintenance and care because marble is readily available at an attractive price. This makes it an easy and cost-effective way to give your home the luxurious touch you’ve been dreaming of. Some people can decorate a home and enjoy the look for decades, but others like to change things up every few years. Regardless of how frequently you redecorate, you’ll never have to worry about changing out your marble sills. The marble will always look amazing and lend a beautiful touch to the home. The white will work wonderfully with any color scheme, and marble is at home with all genres from Victorian and traditional to stark modern finishes. In addition to working nicely with a change in décor, you can trust that your marble sills will give any new design an elegant look and sophisticated feel. Many people love the look of marble, but they worry about the initial cost and how it will impact their budget. If you’ve been looking at marble window sills in your local store, then you may have been discouraged by the high cost. The good news is that you don’t have to break the bank trying to add this elegant touch to your home. When you work with a wholesaler, you can save money on the purchase price. By choosing the high-quality marble thresholds available at Stonexchange, you can rest assured that you’ll have durable, attractive marble window sills that will last for years to come and give your home the graceful finish it deserves. When it’s time to make your purchase, choose to work with a wholesaler that takes pride in offering high-quality products and great customer service. We offer highly reasonable prices that are sure to please you and fit neatly in your budget. Our service representatives will confirm your order, and we’ll work diligently to fill it in a timely manner. We’ve contracted with nationwide shippers so that we can have the tiles delivered to your home or work site quickly. You’ll appreciate the convenience, the great service, and the savings.